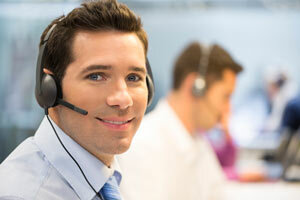 Unlimited technical phone support available 24 hours a day, all year long. Each day, you face new challenges that can make it difficult to meet your production goals and prevent or overcome operational issues. Technical troubles cause headaches, and they prevent you from being your best. A Rockwell Automation TechConnect support contract through CBT provides you with the assurance that your investment will work. Whether it is to quickly resolve production issues, improve training, or streamline software updates, purchasing our TechConnect℠ Support service can provide the knowledge and support you need to address some of your top challenges. With the purchase of a TechConnect Support agreement, you receive access to the Support Center, Training Advisor and webinars. Submit questions online or chat live with highly trained technical support engineers. Use your personal portal to manage your phone and online interactions, receive product notifications, and save favorite content. View an archive of answers and solutions cultivated from actual support cases in our Knowledgebase. Effectively manage training needs/budget and improve employee performance with Training Advisor. Interact with your peers in our forums to discuss troubleshooting and share best practices. Learn about all of the capabilities of and options available through TechConnect Support Brochure. The Rockwell Automation Support Center lets you search the Knowledgebase for answers to your questions, interact with peers through forums, submit questions online, bookmark information using the “Find My Stuff” feature, request notification of updates and chat with Rockwell Automation engineers. In the Support Center, you will find brief video tutorials that illustrate how to use various features to help you unlock all the potential of this robust web portal. With the purchase of a TechConnect Support agreement, you receive a single manager/administrator license for Training Advisor, an online tool to help you assess employee competency on a variety of products based on job task. Using this tool, you can generate a tailored training plan for each staff member to maximize your training dollars. Genius Webinars are hour-long technical presentations that provide tips, best practices and demonstrations for our products and solutions. View or download recordings of these sessions on-demand from our online library in the Support Center. Our Educational Webinar series is designed to help you get maximum value from our tools and services. Learn about new methods to tackle your business challenges, discover ways to unlock the hidden potential of your business and leverage the industry expertise of Rockwell Automation. Improve your personnel productivity and efficiency, in addition to reducing your maintenance costs, with TechConnect Application Support. Application Support is our most comprehensive, flexible and tailored support offering. We can build you a service package that fits the exact needs of your operations and actively minimize downtime events.